Every language and every culture has a character and a center, which can be called its fulcrum. For Urdu Culture such a center is Lucknow . As far as Punjabi language and culture are concerned, the center was undoubtedly Lahore . A lot of connoisseurs of Punjabi language believe and I happen to be one of them that Gujjranwala’s population speaks an even sweeter version of Punjabi. 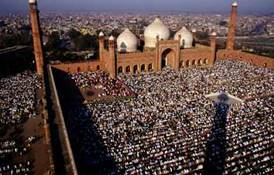 Culturally, however, there is no doubt thatLahore is still the prime center of Punjabi. Let us go sixty years back into undivided Punjab . The then Province of Punjab consisted of five administrative divisions. The Eastern most division was Ambala (Umbala). Three of its districts Gurgaon, Rohtak and Hissar were distinctly Haryanvi speaking. Ambala district was Punjabi speaking, but its dialect was Powadhi (Pawadhi) Punjabi, which is still spoken in the rural areas of Chandigarh region. Simla (now Shimla) district spoke Pahadi Punjabi and Karnal district spoke a mixture of Punjabi and Haryanvi. All other divisions spoke different dialects of Punjabi language and their vocabulary was by.and large common. 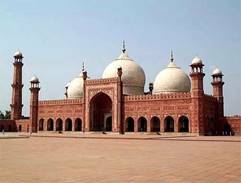 The dominant dialect of Multan Division was Saraiki, which is now spoken by some refugees living in Hissar, Bhiwani, Rohtak, Rajpura and Delhi . Rawalpindi Division spoke Pothohari Punjabi, which is a very sweet dialect. Farther to the West the Punjabis living in the North West Frontier Province spoke Hindko, which is quite similar to Pothohari with a slight more tinge of Pushton. Some of the erstwhile Peshawaris living inPatiala and Delhi have still not forgotten the Hindko dialect, but this dialect is on the way out in India . The fate of Hindko in India is just like that of Sindhi in India , both are dying a slow death. In urban areas of both Punjabs, I must admit, all dialects of Punjabi are dying a slow but steady death. Some kind of awakening is needed to inculcate the love for the mother tongue in the new generation of Punjabis. Now we come to the heart land of Punjabi language. Lahore Division was also calledCentral Punjab . It consisted of six districts. Gujjranwala was the home district of legendry ruler Maharaja Ranjit Singh and his all conquering general Hari Singh Naluwa. Sheikhupura was the birth district of the founder of Sikhism, Guru Nanak. A large chunk of Maharaja Ranjit Singh’s army was recruited from the districts of Sheikhupura and Gujjranwala. Sialkot was the district where Guru Nanak lived in the last years of his life and where he breathed his last. Lahore was the capital of Punjab for hundreds of years and we are proud, it still is. Amritsar was then and is now the Vatican of the Sikh faith. Gurdaspur provided a large number of valiant soldiers and a very hospitable route for the conquering armies of Maharaja Ranjit Singh. The dialect of these six districts has been accepted as the Standard Punjabi (Kendri or Markazi Punjabi). 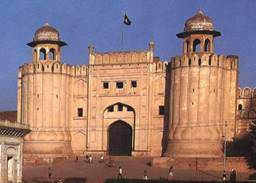 Lahore sits prominently in the middle of this region and influences the culture of this region. Jalandhar (formerly Jullundur ) was then and is now a divisional head-quarter. Prior to the division of Punjab, Jullundur Division consisted of the districts of Jullundur , Ludhiana , Ferozepore, Hoshiarpur and Kangra. All these districts were Punjabi speaking. Kangra spoke Pahadi (or Dogri) Punjabi. Jalandhar and Hoshiarpur spoke the Doabi Dialect. This dialect is very close to standard Punjabi, with minor imperfections, such as confusing the pronounciations of words “B” with “V”. Ludhiana spoke Malwai Punjabi. The then famous City of Ferozepore and the district is a typical case for study. 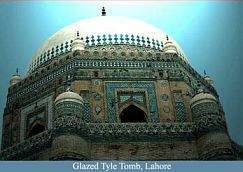 The city and its adjoining parts including Zeera Tehsil had historic association with Lahore and Amritsar . Therefore the language and culture of Ferozepore and Zeera is akin with that of Central Punjab . Moga and Muktsar tehsils of pre-1947 Ferozepore District were Malwai speaking and the Fazilka and Abohar area has adjoinng Pakistani linguistic influence. A lot of refugees from ruralLahore were eventually settled in Muktsar Tehsil, they have, with the passage of time changed the local dialect considerably during the past 60 years. 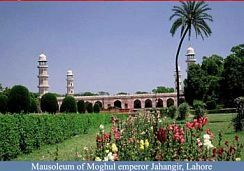 The city of Jalandhar , which had more Muslims than Hindus, got refugees from the cities of Sialkot and Lahore to replace the migrating population. Initially their linguistic influence appeared insignificant, but as the time has passed, they have impacted the language of the city and made it another standard Punjabi speaking city. The same is true of the neighbouring towns of Kartarpur and Nakodar. There were eight princely states in East Punjab . These were Patiala , Nabha, Jind, Malerkotla, Faridkot, Kalsia, Nalagarh and Kapurthala. Malerkotla state was predominantly Muslim and it is still so, its language is however not Urdu but Punjabi. Kapurthala had more than sixty percent Muslim population, but its language was not Urdu but Punjabi. There were, however, some areas of these states, which were not Punjabi speaking. Kapurthala State had an estate in Oudh region of the United Provinces (U.P.) very close to Lucknow , but their language was Urdu/Hindustani. Some areas of these states like Jhajjar, Pataudi, Narwana, Jind, Narnaul and Mahendragarh were Haryanvi speaking. Rest of the areas of these states were clearly Punjabi speaking. The dialect of all these states except Kapurthala was Malwai Punjabi. Kapurthala’s pre-partition dialect was a mixture of Jullunduri and Amritsari. But the refugees have changed it to standard Punjabi. Now let us talk of Lahore and Amritsar . Before becoming a district under the British rule and prior to the Sikh rule, Amritsar was governed by the Sebedar of Lahore. 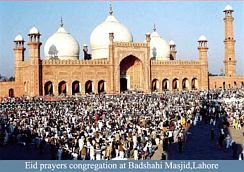 Lahore remained a victim of political tug-of war between the rulers of Kabul , Delhi and Agraand the city benefited from that status too. Amritsarquietly flourished as a trading city, until Ahmed Shah Abdali looted it and tried to destroy it. The Beas was flowing to the East of Amritsar and the Ravi flowed to the West of Lahore. Since no river separated the two, their interaction was very frequent. The same can not be said about Gujjranwala, Sheikhupura and Sialkot . The Ravi separated all these districts from Lahore and Amritsar . 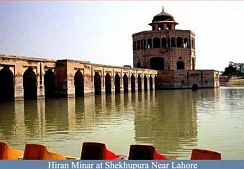 It was during the reign of Maharaja Ranjit Singh that Gujjranwala, the seat of Shukarchakiya Misl of the Maharaja’s ancestors conquered Lahore . This increased the contact between the people of Gujjranwala, Sheikhupura, Sialkot and Lahore . Later on the British rulers built a number of bridges and Lahore Division came to be recognized as a homogeneous standard Punjabi speaking area. This division eventually came to be recognized at the heart and soul of pre-partition Punjab . My father got his higher education in Lahore . Our ancestral village was three miles from Kapurthala, 44 miles from Amritsar and 79 miles fromLahore . There was only once a day bus service between Kapurthala and Lahore , it will leave in the morning and return at night. But for Amritsar there were several buses plying each way. My father, even during those days had no difficulty in reaching Lahore . There were a lot more buses running between Amritsar andLahore than between the other two neighbours Amritsarand Jalandhar. Even the train service between theLahore and Amritsar was hourly during the day time. Once you reach Amritsar , there was a feeling that you are already in Lahore . Even at night there was a lot of Lahore bound traffic. “The Tribune” a reputed English language daily, published from Lahore , sold more than half of its copies in Lahore and Amritsar . Amritsar was virtually the business and industrial hub of Lahore .Amritsar ’s prime industrial area of Chheharta was only 28 miles from downtown Lahore . 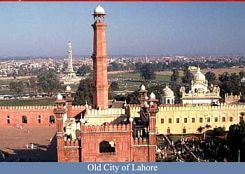 The wealthy of Punjab preferred to dwell in Lahore , where they had excellent educational facilities for their children, but their industrial and trading units were in Amritsar . Several Lahoris used to drive to Amritsar in the morning and had their evening tea in Lahore , with snacks purchased from Amritsar . Amritsar ’s vegetarian and non-vegetarian delicacies are known all over the World. Even these days the visitors from Lahore prefer to eat at either “Kesar Da Dhaba”, or at “Bharawan Da Dhaba, both located in down-town Amritsar . I have also heard that a lot of famous eatries in Lahore are either owned by former Amritsaris or have Amritsari chefs there. Amritsar was synonymous with the finest Punjabi quisine. At the time of partition, it was difficult for both cities to part company. They had jointly seen the boom in real estate during the thirties and early forties. A popular Punjabi writer Gurbakhsh Singh Preetlari had founded a small enclave called Preetnagar in Amritsar District with the aim that one day it will become a suburb of Lahore . He said that every day five buses departed from Preetnagar to Lahore and only two departed for Amritsar . Great writers like Faiz Ahmed Faiz, Amrita Pritam, Sahir Ludhianvi, Nanak Singh Novalist, Balraj Sahni and Gurbakhsh Singh himself lived there at different times. After partition, the link withLahore was snapped and Preetnagar, located on the Indo-Pak border got deserted. When the ill fated exchange in population took place in August and September of 1947, many former Amritsaris came back to Amritsar . One of them was my good friend Pritpal Singh Arora, who did not feel at home in Amritsar after their family’s brief stint in Lahore . Settlement of the refugees was a big task. People uprooted from far flung places likePeshawar and Rawalpindi converged on Amritsar . It was a huge problem of logistics. The city was unable to cope with so many people. The Peshawaris and Rawalpindias were quickly moved to Patiala and Delhi . Some preferred to stay in Amritsar , Kapurthala, Jalandhar and Ludhiana . Sardar Tarlok Singh and Dr. Mohinder Singh Randhawa were two senior Indian Civil Service officers allocated to East Punjab . They were both very honest and efficient. Their first priority was the proper rehabilitation of the high profile refugees from Lahore . The urbanites were asked to pick the places of their preference. Those involved in the film line quickly packed up and moved to Bombay . Those who wanted the facilities of a capital city moved to New Delhi , because East Punjab had no capital of its own. 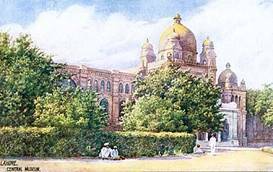 Some Lahorias did move to Simla, the summer time capital of Punjab and India and some went as far as Lucknow and Kanpur . The ones who wanted to stay in Punjab settled mostly in Amritsar , Kapurthala, Jalandhar and Ludhiana . WhenChandigarh was built, the Lahorias were offered plots in all sectors, but there were no takers. Within five years every Lahoria family was settled and no one was left to grace the beautiful city of Chandigarh . Now I hear some of the Lahorias are finally in Chandigarh . Today’s Amritsar has at least 30% population of former Lahorias. Their local radio station is still Lahore . At one time between 1948 and 1953, even Amritsarhad its own radio station. At that time both estranged neighbours could talk to each other over the airwaves. Now Lahore can talk toAmritsar , but Amritsar can’t. Some private radio stations have started operating from Amritsar , but they are not allowed to give news. Hopefully Amritsar ’s own government owned broadcasting station shall become operational by next year (2008). At that stage Amritsarwill be able to talk back to its lost neighbour. Culturally both cities are still similar, but this similarity is not going to last for too long. The basic fabric of the language in both cities is still the same, but the embroidery in the form of vocabulary is creating differences. Lahore is introducing a lot of Arabic and Persian in its language and Amritsar is using a lot of Sanskrit and modern Hindi in its vocabulary. For the benefit of Punjabi, let us try to bring the two together.